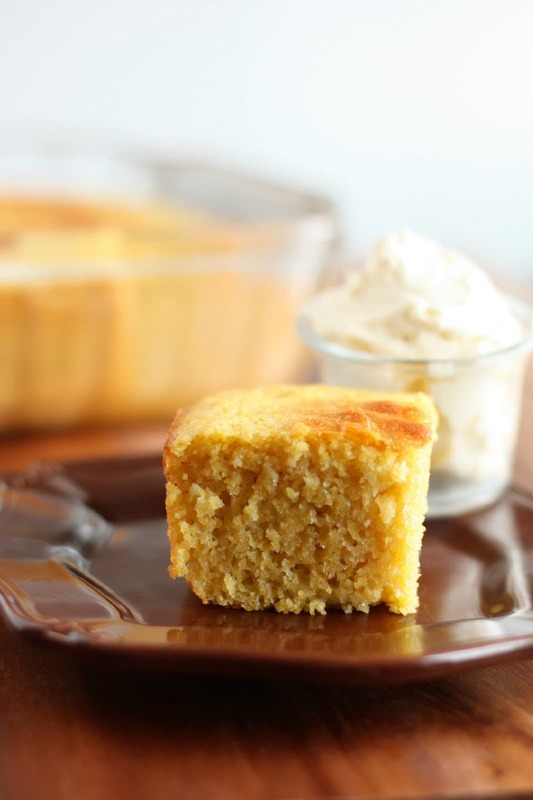 You’re probably wondering could a lightened up cornbread really be better than your traditional cornbread? The answer: yes, much better! This cornbread is simply amazing! 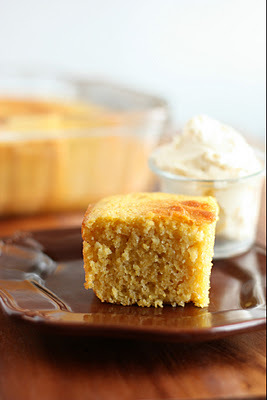 Random craving, but my neighbor had brought over some incredible cornbread a few days ago so I was dying for more. 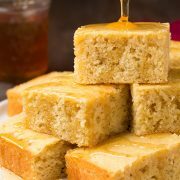 I made this recipe to be moist, fluffy, lower fat/lower cal, with just the right amount of sweetness and a bit of extra flavor from the buttermilk. 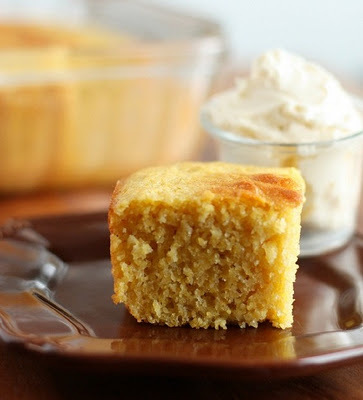 This recipe is more than simple and its outstanding served with an also very simple, whipped honey butter. I served this to my family as a side to go along with the turkey we had for Sunday dinner and I’m pretty sure the entire pan was gone withing a couple of seconds =). Everyone was fighting over the last piece. Please try this recipe and it’s likely you will be converted for life to this lightened up version. 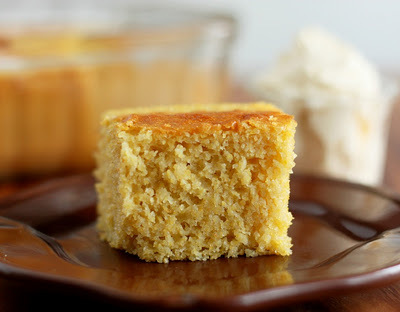 My go to cornbread recipe! Everyone always loves this! In a large mixing bowl, whisk together cornmeal and buttermilk until well blended, allow to rest at room temperature for 30 minutes. Preheat oven to 375 degrees. In a bowl, whisk together flour, baking powder, baking soda and salt, set aside. 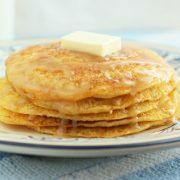 Add melted butter, applesauce, honey and sugar to cornmeal mixture and whisk until well combine. Stir in eggs. Stir in dry ingredients and whisk just until combine and no longer lumpy. Pour mixture into a greased 8x8 dish and bake 30-35 minutes until toothpick inserted in center comes out clean. Cool about 5 minutes before slicing. Serve with whipped honey butter. 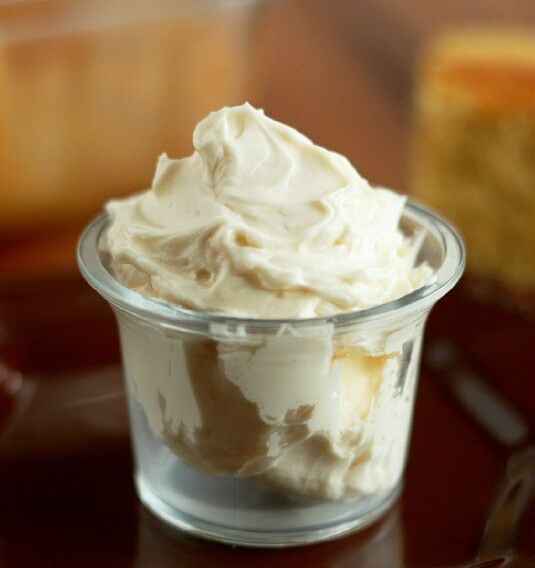 In a mixing bowl,using an electric mixer, whip together all ingredients until light and fluffy about 2 minutes. 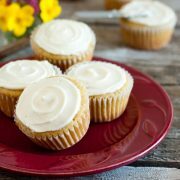 Alternate method: add in a bit of cinnamon and hint nutmeg for a delicious spiced version.